Apple And Fruit Crusher | BUDK.com - Knives & Swords At The Lowest Prices! 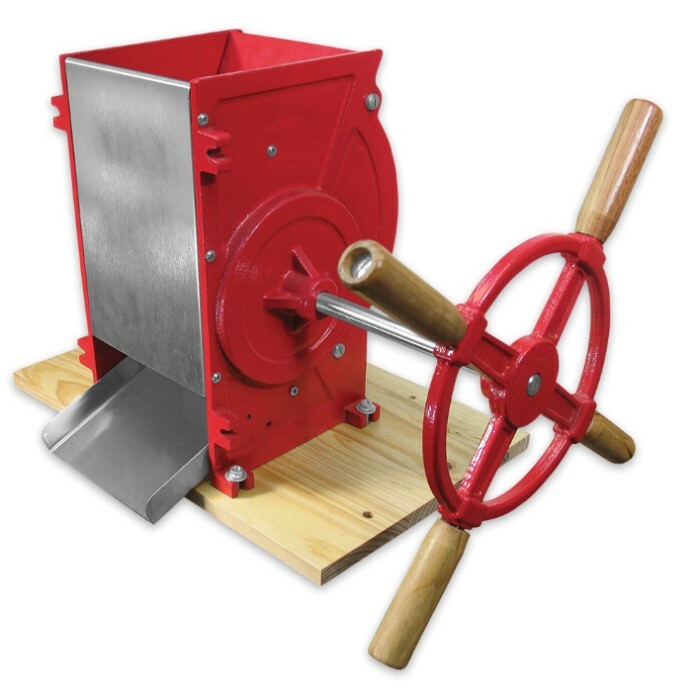 The Apple And Fruit Crusher is essential for pressing apples, pears, peaches, pineapples and other hard fruits in the Weston Fruit and Wine Press. 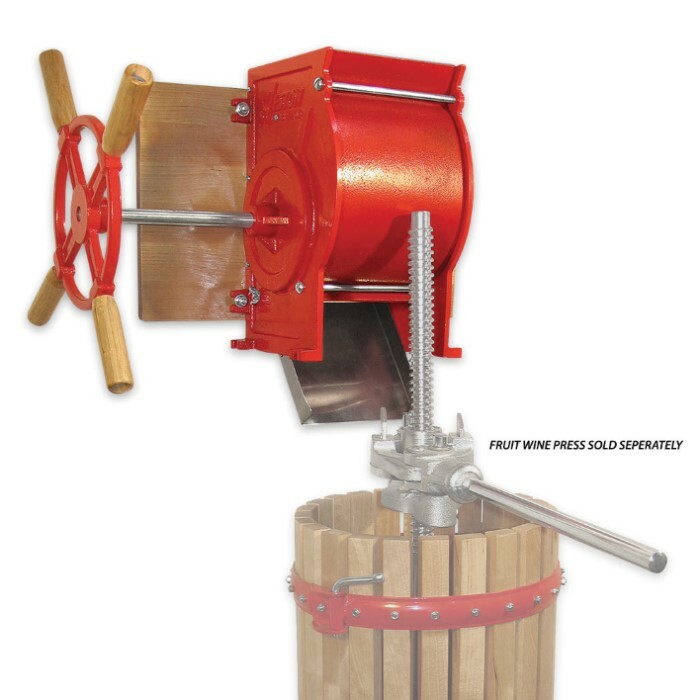 Simply place the crusher above the press, load it with fruit, and spin the handle to drop a perfect pulp into the Wine Press prior to pressing. 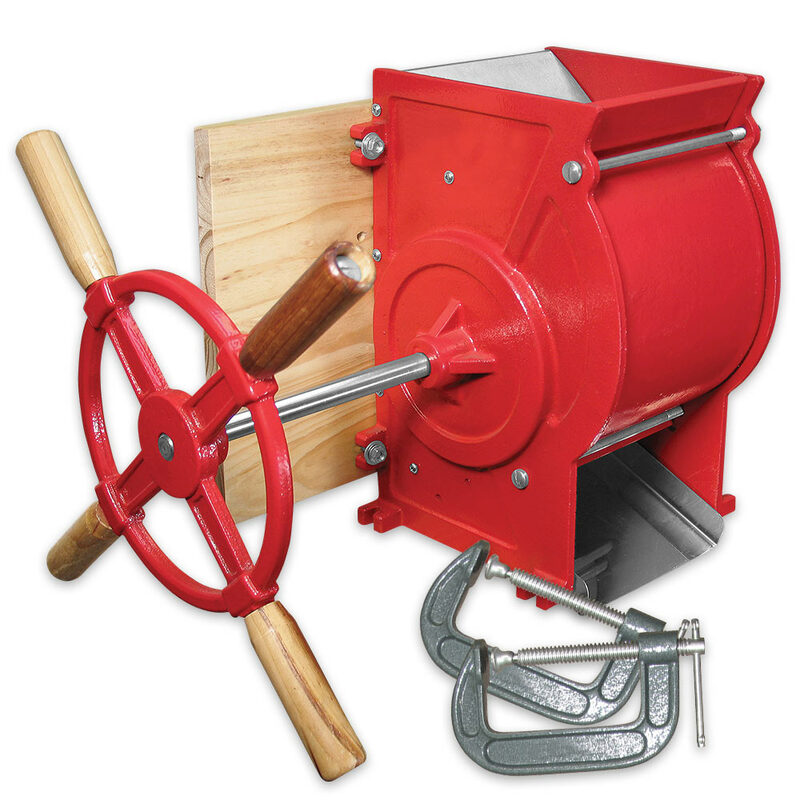 The easy to turn handle makes crushing large quantities of fruit quick and easy and the crusher can be used for any project that requires pulped fruit. It has a heavy duty cast iron construction with a stainless steel chute and hardware. The drum is made of wood and the crushing blades are stainless steel. It includes a wood mounting base and two C-clamps for table mounting.